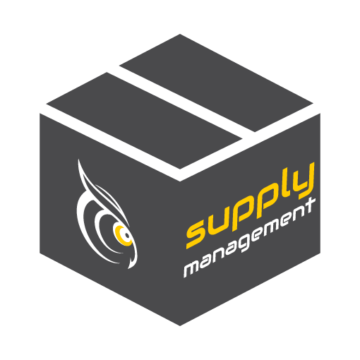 Allows customers to check WooCommerce coupon balances. 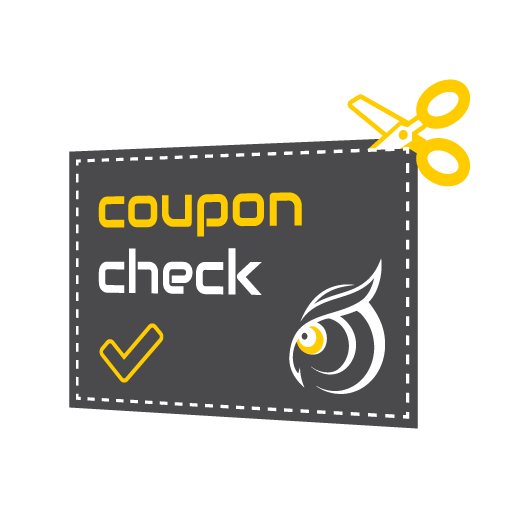 Coupon Check evolved from the desire to allow customers to check the balance of store credit vouchers without the need to add products to the cart. 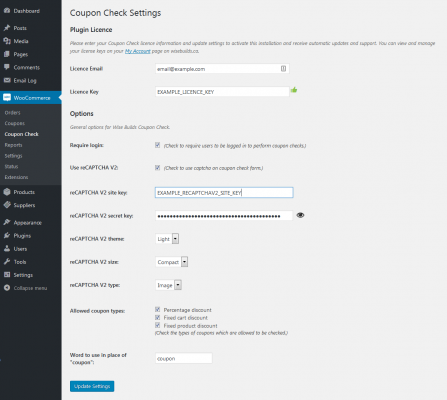 Coupon check should work with any coupon extension that uses standard WooCommerce coupons. 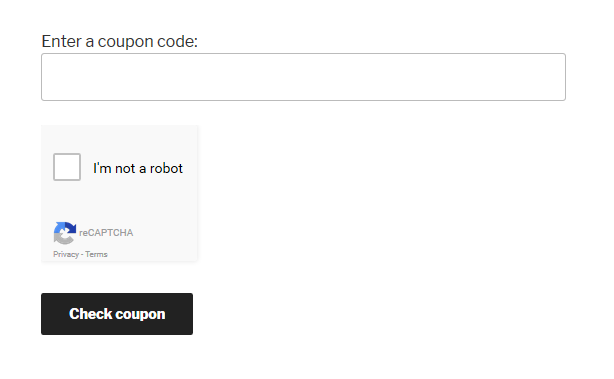 To avoid brute-forcing of coupons, checking can optionally be limited by login and reCaptcha. 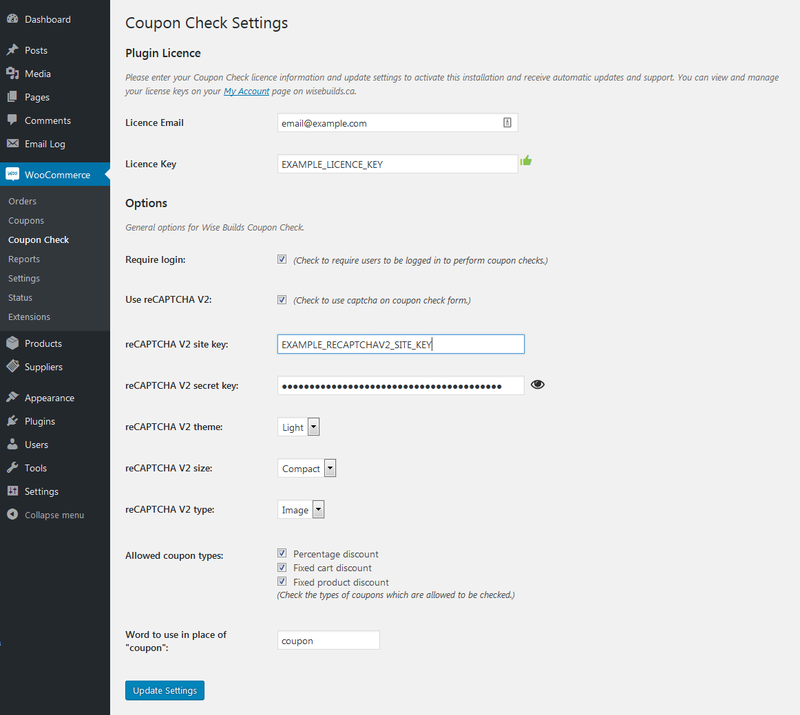 The extension includes a widget, shortcode [couponcheck] and settings page. 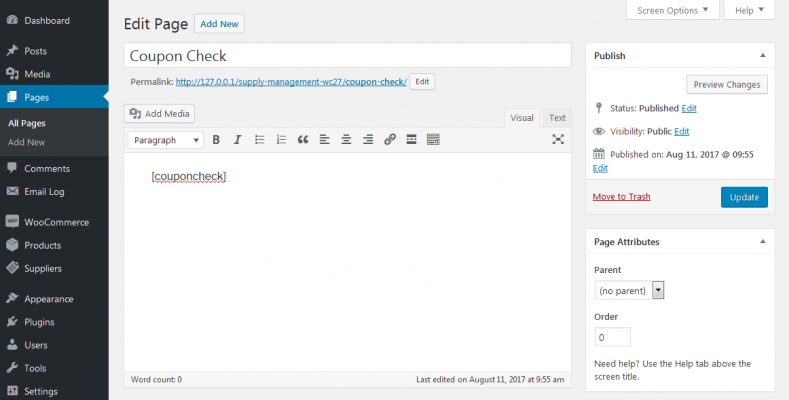 Convenient widget that can coexist with shortcode. 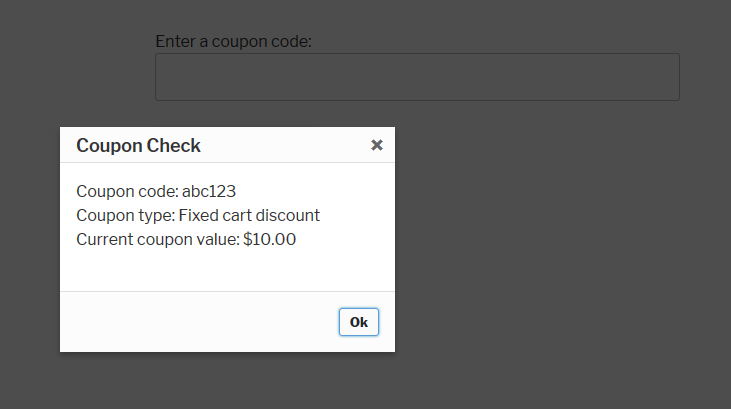 The front-end coupon check form. Result dialog of a coupon check.